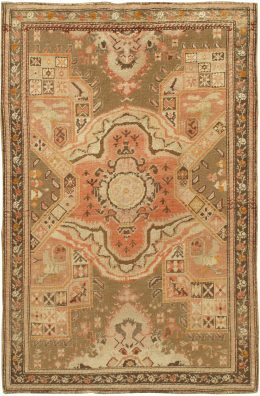 Antique Karaja (Black Mountain) rugs were woven near the Caucasian border and partake of Caucasian styles and motives. The later production is the Karaja, retaining the patterns, but in a coarser weave, in scatters, rugs & runners and the occasional room size. A rich navy blue ground from indigo is a salient characteristic. Various styles of semi-geometric medallions appear on runners. Ivory and an exceptional blue-green are also strikingly evident in the precise detailing.